The word “forensic” is often associated with crimes, but this interpretation does not fit all situations. “Forensic” simply means “suitable for use in a court of law.” Indeed, forensic accountants are responsible for gathering financial information that can be used in court. Forensic accountants may also be known as investigative auditors or forensic auditors. According to the Association of Certified Fraud Examiners, U.S. businesses will lose an average of 5 percent of gross revenues to fraud. The North American Securities Administrators Association indicates nearly 30 percent of state securities regulators have seen an increase in elder fraud cases and complaints. The FBI estimates the total cost of insurance fraud is $40 billion per year. Forensic accountants can work in a range of areas. The first step in any case is evaluating what is needed. The forensic accountant will carefully examine records for evidence that such actions have taken place. The accountant will attempt to provide the court with solid information that can lead to the determination of guilt. Insurance claims, and claims of negligence, the forensic accountant will assist in determining the economic damages sustained in particular events. This determination could mean offering valuation associated with a business interruption or loss qualification associated with a particular instance of professional negligence. The accountant may help uncover hidden assets or properly assess the financial value of the assets that a couple possesses. In this type of case, no criminal activity may be present. 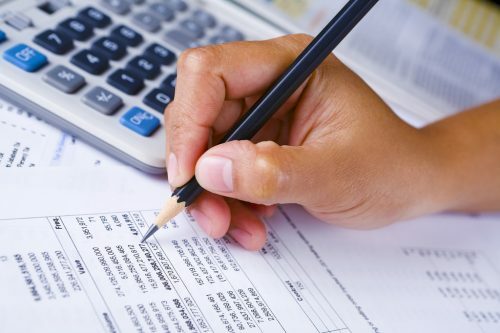 However, the accountant’s investigative skills are still critical in determining what types of finances are being studied and what would constitute a fair and legal outcome for the dispute. Forensic accountants enjoy many opportunities to collaborate and connect with others. Forensic accountants may often work closely with individuals both on their own forensic investigative team and outside of the group. When ledgers, accounts, and other documents do not provide the necessary information for a case, forensic accountants may look beyond records and begin interviewing those who are involved in the case instead. Forensic accountants have the job of collecting compelling fact-based evidence in support of their cases such that their determinations can hold up in a court of law. This work may include evaluating ledgers, analyzing financial reports, and examining account statements. The forensic accountant collects this information and analyzes the finer points to make a solid fact-based determination on the issue in question. The accountant will supply lawyers and clients with the findings collected. While the evidence itself is crucial for the cases involved in forensic accounting, so too is the proper analysis of this information. While forensic accountants provide account statements and other documentation to the legal team working on the case, they also draft reports that summarize what these documents mean. Translating a vast amount of information into clear, concise facts is one of the most important tasks for a forensic accountant. It is crucial for these professionals to have strong analytical and communication skills that will equip them to take a massive collection of information and distill it into clear, understandable, and actionable evidence. Forensic accountants are often called to testify in court. In this role, they provide a verbal testimony covering the information that was gathered throughout the course of the case. The accountant explains to the judge and jury how he or she conducted the investigation, what evidence was uncovered, and what this evidence ultimately proves. In cases such as matrimonial disputes, forensic accountants may provide their testimony to the clients, explaining to both individuals the assets uncovered and their value. Not all forensic accounting cases are handled by a jury, but all have legal significance for the clients. For those who are interested in forensic accounting, it is important to understand the key skills that support this type of career. Many of these skills can be gained and refined through educational pursuits. A well-rounded degree program can equip students with the necessary understanding of finance, economics, and statistics. Graduates with a degree in accounting should have a thorough understanding of essential principles such as Generally Accepted Accounting Principles (GAAP), which will help them determine the legality and appropriateness of certain actions. Those who have a strong background in economics, statistics, finance, and law are well-suited to a career in forensic accounting. For students who are interested in pursuing this area, evaluating these skill sets may help to identify areas where further focus is necessary to better prepare for this career path. Forensic accountants are responsible for recovering evidence from an increasingly broad range of devices and programs. Reviewing physical documentation is becoming obsolete as today’s forensic accountants are called to navigate smartphones, tablets, personal computers, external hard drives, and other devices. It is not enough for a forensic accountant to have a theoretical knowledge of broad finance topics. These professionals need to thoroughly understand the operations of major corporations, investment firms, banks, and other such institutions. In order for forensic accountants to determine where accounting activities may have derailed, they must know how the business would manage its finances if it operated in a legal manner. To help lend perspective to a case involving a factor such as market manipulation, the forensic accountant must be able to demonstrate causation for losses as well as how these losses were sustained. Valuation is a difficult area to navigate, and many cases of financial fraud are buried in inaccurate valuations. As a forensic accountant, one must be able to correct these valuations and supply the accurate numbers to properly assess any criminal activity that may be rooted in misleading valuation. Financial crimes are typically obscured to a great degree. It is often impossible for even the most skilled forensic accountant to uncover all the necessary information to reconstruct the entire crime. Professionals in this field must have strong analytical skills and a thorough understanding of statistics. Statistics can help one understand the likelihood of a particular event taking place. This information makes it possible for the forensic accountant to point out how a particular series of events is unlikely to have occurred without criminal manipulation, even when the manipulation itself cannot be proven. While a forensic accountant does not have the same legal expertise as a lawyer, it is important for this professional to have a strong working understanding of the legal system. The forensic accountant must know what will qualify as evidence in court and what will not stand up to cross investigation. Forensic accountants are central to many judicial proceedings. In the digital age, it is increasingly important for forensic accountants to assist in legal matters where their knowledge and experience can help uncover obscured information and help victims to understand the full extent of any losses, fraudulent activity, or misreporting. A Master of Science in Accounting – Forensic Accounting degree can help prospective forensic accountants explore career possibilities. Visit New England College’s online Master of Science degree programs to learn more about the Master of Science in Accounting – Forensic Accounting concentration.